NEIBAUR: It's not that Ted or I thought that it was a bad movie by any means. I mean, it's a great idea for a film, it has those colors and it was done by Frank Tashlin. It just doesn't seem to arrive at the potential of the idea. 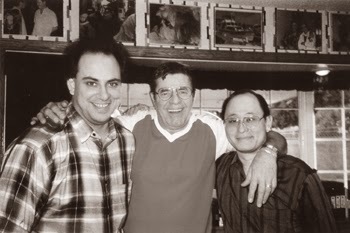 Jerry Lewis seemed to like it more than we did, and that was one of the areas where we didn't see eye-to-eye with Jerry while we were working on the book with him. TV STORE ONLINE: What do you dislike about CINDERFELLA? NEIBAUR: Well, it really isn't about that. I just don't think that it ranks up there as one of his best films... I don't know if the film needs that many songs in it. It seems as if the song numbers are intermissions in the film and that they really took away from the action. They didn't blend with the action, and there didn't seem to be a lot of great scenes or ideas like we had seen in something later by Tashin and Lewis like WHO'S MINDING THE STORE? (1963) or THE DISORDERLY ORDERLY (1964). There are particular scenes in both of those that really standout. You have that great typewriter pantomime in WHO'S MINDING THE STORE? that is really funny and very memorable. 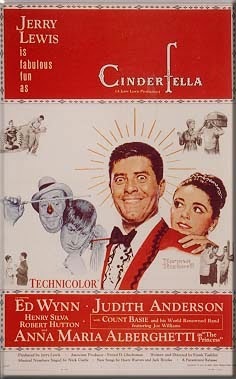 Whereas, in CINDERFELLA, you have Jerry doing that walk down the stairs? It's funny and amusing but those musical numbers in the film really stick out and make it uneven. Overall, the structure of CINDERFELLA isn't very good either. It seems that it was just too standard of a story, and that was something they had to stick with. Even though they were parodying it with Jerry in what is usually a female role, it just didn't seem to be enough. I'm sure they worked really hard on the film, and it amusing in places, but I just don't think it's one of his best films. 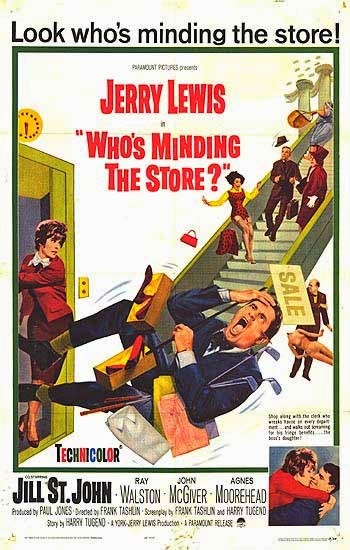 TV STORE ONLINE: You just mentioned WHO'S MINDING THE STORE?....Do you have any other favorite scenes from that Jerry film? NEIBAUR: There are a lot of great scenes in that one. Interestingly enough, WHO'S MINDING THE STORE? was the first movie I ever saw as a kid in a theater. It came out on the weekend that followed the Kennedy assassination and there was nothing on television because of the funeral, so my parents took me to the movies. I was five or six years old at the time. We sat way up in the balcony and the theater was packed. The first scene in the film features Jerry sitting at a counter and loudly slurping soup. When he came on the screen in that scene, the entire theater was rocking with laughter. I was young, but there was some part of me that realized that here was this guy that was making all of us laugh during a very sad time in our country. As a small child, even though that I couldn't articulate it that well, I realized that there was something magical happening, and I think that's were I fell in love with comedy. The broken vacuum cleaner bit is very strong in WHO'S MINDING THE STORE? Tashlin came from cartoons and he really brought a lot of cartoon action and colors to the film. It's filled with some wild slapstick as well. There's Jerry trying to walk all of those dogs, and then when Jerry has to try to squeeze the shoe onto the foot of the lady and they end up wrestling around. TV STORE ONLINE: When you were working with Jerry on the book did you get to ask him about working on that vacuum cleaner scene in detail? NEIBAUR: We didn't get to talk to him particularly in great detail about every scene just because he's a very busy guy. He was gracious enough though to allow us to sit with him in his living room and on his boat, and when we talked about that film he said something to the effect that his contribution was that he would come up with an idea and that Tashlin would just run with it, and that the film was Tashlin's "Baby". He said that he contributed very little, because Tashlin had his own ideas and that because Tashlin had come from cartoons, he had really wanted to open it up and go into that realm for that scene. NEIBAUR: Yeah, but I think that what Jerry Lewis did as a director was different that what Frank Tashlin did. Tashlin, could be at times a little conventional, but what Lewis did as a director was to create an entire world in which we the audience could exist in. There is a complexity to the Lewis films and anything can happen in that world. Jerry's character has a surreal existence in that world. Tashlin could be offbeat too, but he always had elements of the real world and the mainstream in his films even though critics called his films cartoon-like. Jerry's films always maintained that level of the surreal or the outrageous throughout them the entire length of the film. That's something that Tashlin didn't do. Jerry would experiment, I'm sure you remember the scene in THE PATSY (1964) where Jerry's character is getting a haircut and his feet get tickled and the sound gets sped up so he sounds like a chipmunk? He was experimenting with sound. He did it for the gag and to enhance his artistic vision as well. He liked to experiment with colors too. If you remember that scene at the beginning of THE NUTTY PROFESSOR (1963) where the chemistry classroom explodes and all of the students come running out? If you watch that scene today, you'll notice all of the great colors in it. The students coming running out of the classroom and each of them are wearing very distinct colors of clothing. Jerry was painting there. He really liked to experiment and play around with the medium in which he was working. That's what makes Jerry Lewis different from Frank Tashlin. NEIBAUR: THE NUTTY PROFESSOR was something Jerry really wanted to do because he had this unique idea based on two characters. He was inspired after seeing the film DOCTOR JEKYLL AND MR. HYDE (1941) with Spencer Tracy. TV STORE ONLINE: Right, but around the time of THE NUTTY PROFESSOR, Jerry had also tried to acquire the film rights to J.D. Salinger's The Catcher In The Rye...It just seems like he might have been working in a particular direction as an artist/actor and then he sort of moved in reverse and did THE PATSY (1964). NEIBAUR: Well, I don't think that The Catcher in The Rye was filmmable. I don't think it would have translated to the screen and that's why I think that it hasn't been made yet all of these years later. I don't think that he was moving in any particular direction either. 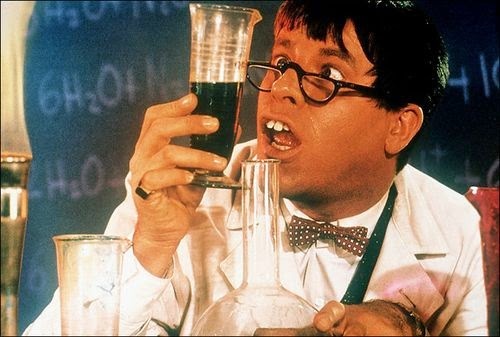 I think THE NUTTY PROFESSOR was just the film that he made at that time, and when he followed it up with THE PATSY I think he was investigating show business. In fact, he does that in THE ERRAND BOY (1961), but I think he does it better in THE PATSY. I think THE PATSY is every bit as good as THE NUTTY PROFESSOR and THE PATSY gets just as surreal and outrageous as any of his other films. It's filled with so many incredible ideas and it has dramatic elements in it as well. 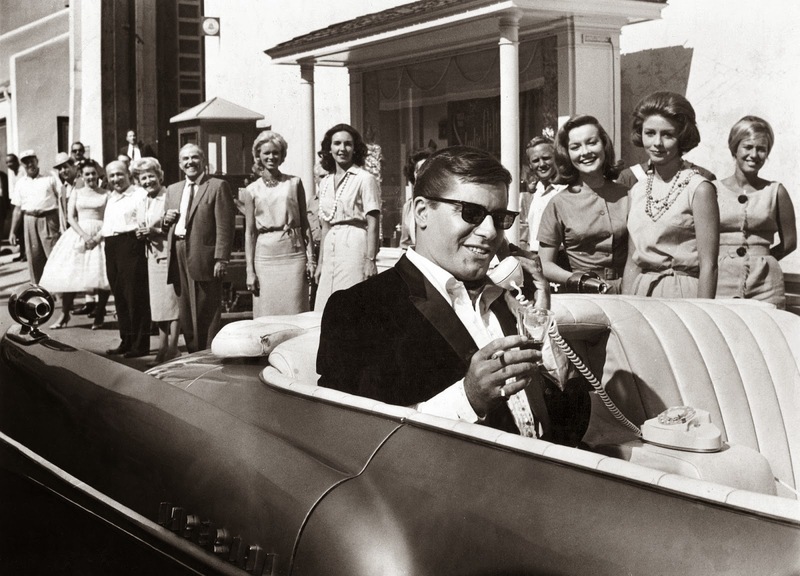 THE PATSY might be my favorite Jerry Lewis film. NEIBAUR: There have been a lot of people that have speculated on that, and it's not the case. Dean Martin was never like Buddy Love. Anyone that I've ever talked to that knew Dean Martin has said that he was a really nice guy. Jerry has admitted that Buddy Love is based on his own alter ego and his own worst perspective. Even though Jerry and Dean were no long partners at the time and they probably weren't in touch with each other, when Jerry shot THE NUTTY PROFESSOR, he still maintained a love of him as if he was his own brother. People have tried to suggest this over the years, but really it just falls flat. Buddy Love was really just Jerry's own demons. 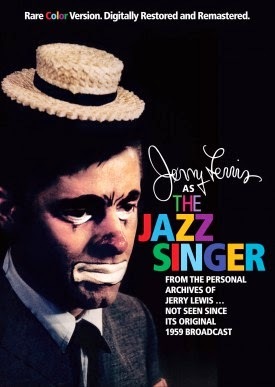 TV STORE ONLINE: In your book you mention that Jerry wouldn't let you watch his take on The Jazz Singer which he did for NBC in 1959...With that on DVD now...What are your thoughts on it these years later? NEIBAUR: Lewis told us that he thought that he was too young for the role, but I think his performance is quite good. I think he surrounded himself with really great actors and the fact that he preserved something so early from those beginning days of television, I think is really wonderful. Hopefully the new DVD will do well and he'll release more things from his archive that we'll all get to see. TV STORE ONLINE: In your book you make a mention that critics have called THE LADIES' MAN (1961) "Felliniesque"... I was wondering if you could talk about that? NEIBAUR: Well, that's probably because Fellini always had a surreal bent to his work just as Jerry's films have. With something like THE LADIES' MAN....Jerry plays a guy who is spurned by his lover and it turns him off of all women. He can't stand to be touched by a woman even. It's always with younger women too. He doesn't have a problem with any of the matronly types. It's very surreal, and then he's put into a all girls boarding house which intensifies that. With that gigantic dollhouse set, he really created a world onto itself too. Fellini did that. He, like Jerry, created worlds for their audiences. TV STORE ONLINE: If you could pick one moment or scene in any Jerry Lewis film that you thought defined him as a filmmaker what would it be? NEIBAUR: I think probably that scene in THE NUTTY PROFESSOR were "Professor Julius Kelp" is at the dance and he's responding to the Les Brown music. It's because he's in that world, he's at that dance, and he's supposed to act one way but something is distracting him. Something has his attention, and he tries to ignore it, but he can't help but to respond to it. When he's caught, he stops. That's what defines Jerry Lewis the best. As a filmmaker he tries different things in the context of cinema. He tries things and he's distracted by different ideas but he keeps going on. He's created some of the most brilliant and surreal comedy films ever made.